Karl Lagerfeld’s namesake label brings an aloof cool with the release of its fall-winter 2016 campaign. 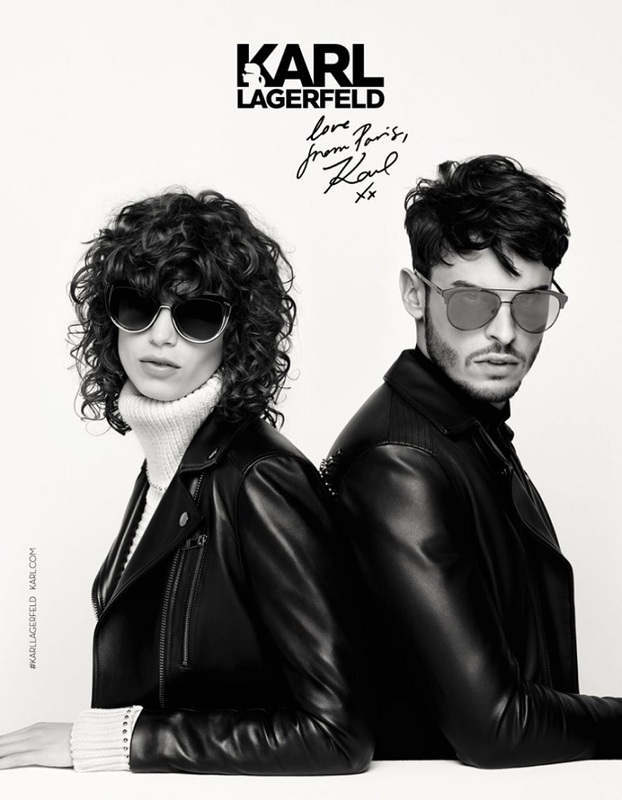 Models Mica Arganaraz and Baptiste Giabiconi appear in the black and white advertisements. The images were shot on location in Paris, France, featuring his and hers looks. The handsome pair was photographed by Lagerfeld herself in leather jackets, embellished accessories and sleek eyewear. Talking about Mica in a behind the scenes clip, Karl says, “Mica is exactly the kind ofgirl I like. She’s Argentinean. 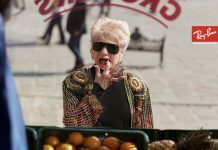 She’s very chic, very natural, very spontaneous. I think she is the girl of the moment.” Watch the excluvise behind the scenes video and hear about their must-see in the city!